The popular TwoPlusTwo Pokercast podcast is on indefinite hold after a 10-year run. One of the most popular podcasts in the poker industry, TwoPlusTwo's Pokercast, has been suspended indefinitely, site proprietor Mason Malmuth announced on the forums yesterday. According to Malmuth, it's simply a question of the finances, and it just doesn't make sense for the site to keep pumping out the podcast. "Unfortunately, times have changed and the poker world has slowed down a great deal," he wrote. "Eric Holder's Justice Department, which was part of the Obama administration, did a great deal of damage to our industry and to our show when they shut down the major internet poker sites in 2011. So that today I'm officially announcing the suspension of the Two Plus Two PokerCast." Pokercast debuted Jan. 2, 2008 with hosts Mike Johnson and Adam Schwartz, with Malmuth joining as the very first guest. Over the years, the show continued, with hundreds of episodes. Guests ranged from popular poker personalities like Joe Ingram, Mike Sexton and Jaime Staples to some of the top players in the world like Daniel Negreanu, Fedor Holz and even Phil Ivey back in 2014. According to Malmuth, Howard Lederer's appearance in September 2012 proved to be the show's peak, prompting 4 million downloads. 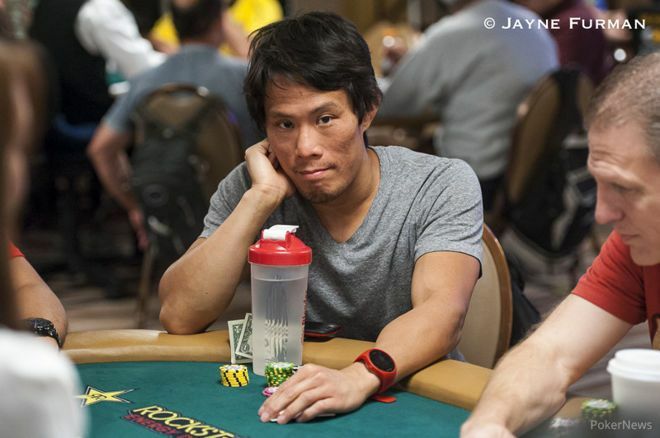 Johnson hung up his mic for the show in 2014, and Terrence Chan, who had been a frequent Pokercast guest, stepped in to replace him on show No. 330. Chan helped keep the show trucking through episode 499, which aired July 9 during the World Series of Poker Main Event. It would be the final episode of the show, as Malmuth announced the likely suspension on Sunday and then confirmed it on Tuesday. Just as it is when any popular media creation ends a successful run, fans on TwoPlusTwo expressed their sadness and reflected on the happy memories with the show. Nobody has more good times to recall than Schwartz, whose run with Pokercast lasted over a decade. He started by thanking Malmuth profusely for all of his support over the years, then thanked everyone else who made the run to 499 episodes possible, including producer Ross Henry. "Who knows what the future holds, but I will look back on my time hosting a podcast at TwoPlusTwo with nothing but fond memories," he wrote. Chan also dropped into the thread to reflect. "The fact that there were you guys out there listening made it so worthwhile," he wrote. "Any time anyone on this forum, on Twitter, or in person made the effort to let me know they appreciated the show, it felt great. "From Vancouver to Kells, thank you all so much for inviting us into your homes, commutes, walks, or where ever you Pokercasted. It was, in the words of the immortal Chainsaw, 'nice to be on your show.'" While Malmuth stated that all parties involved agreed on the decision, he did leave the door cracked for the show to possibly hit episode 500 and beyond some day. "Now suspension doesn't mean that it is over for good, it could come back some time in the future with the same hosts or different hosts," he wrote. "But it does mean that PokerCast show #499 will be our last show for now. I know that many of you, including those of us in TwoPlusTwo management, are highly disappointed to hear this, but all good things come to pass." A full archive of Pokercast's 499 episodes can be found here.